Almost 150 wood industry representatives took part in a tour of technology at local woodworking facilities, part of the Wood Component Manufacturers Assn. Fall Conference and Plant Tour Event, held Oct. 2-4 in the Louisville, KY, area. According to Steve Lawser, WCMA executive director, the annual event “encourages an open exchange of ideas regarding the latest woodworking production techniques. Attendees are able to observe actual applications of new technology and visualize how they might apply them in their own plants.” The wood products companies tour included: Anderson Wood Products Co., Cox Interior Inc., Kitchen Kompact, Lebanon Oak Flooring Co., Northland Corp. and VT Industries. A brief recap of the plants is below. The 2012 WCMA Fall Conference & Plant Tour Event will be held Sept. 30 to Oct. 2 in Minneapolis. For more information, contact the WCMA at (770) 565-6660 or visit WoodComponents.org. Located in Louisville, KY, Anderson Wood Products Co. is a 104-year-old, fourth-generation family-owned Appalachian hardwood dimension manufacturer offering a wide range of parts, from blanks to stair railings, mouldings and furniture components. The company employs approximately 100 people at its 200,000-square-foot facility, located on 8 acres of land. A combination of package and track kilns provides AWP with 250,000 BF kiln capacity to dry its lumber. A fully integrated, one-flow Weinig Group rough mill operation utilizes scanning and optimization technology to process 25,000 BF per shift, said David Anderson, AWP vice president and COO. 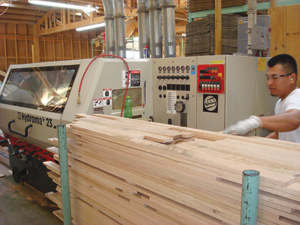 Lumber moves through the planer and is scanned top and bottom for defects before being ripped on a Raimann gang ripsaw, then chopped on Grecon-Dimter chop saws. 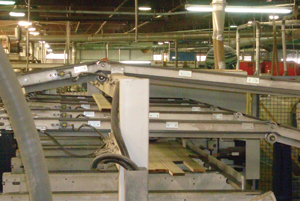 Because of AWP’s large fingerjointing operation, lumber is also scanned along the side for color. A LuxScan scanner is used in the operation. 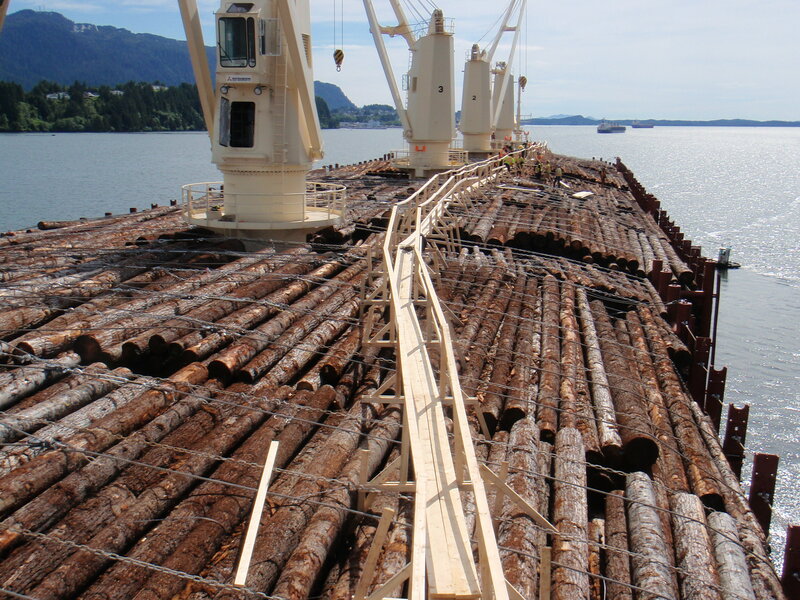 Moving from the chopsaws, the lumber is conveyed to various sorting stations and earmarked for further processing. Additional machining capabilities used at AWP include: tenoning, moulding, fingerjointing, shaping, sanding, boring and mortising. AWP’s products are manufactured to order, Anderson said. Among the species used are red oak, sycamore, maple and poplar. “AWP has found several products in which sycamore is used,” he added. AWP’s sister company, Anderson Hardwood Pellets, is located in a 50,000-square-foot warehouse adjacent to the woodworking facility. The premium-grade pellet manufacturer utilizes the waste stream from AWP and others to produce product targeted primarily for the residential market, sold under the Kentucky Kernel brand. Founded in 1983, Cox Interior Inc. manufactures interior trim, custom interior and exterior doors, mouldings and millwork, including stair parts and systems, crown columns and mantels. The company is located on 103 acres; approximately 20 acres are under roof, said Tim Graham, plant and production manager. Sales last year for the component and dimension lumber manufacturer were approximately $35 million. The company employs approximately 275 people. Cox Interior has been vertically integrated since last year, when the company started its own sawmill operation, including 12 kilns with an estimated 100,000 BF drying capacity. Also on location is a 200,000 BF predryer for oak. Cox Interior also offers custom drying services. More than 1 million lineal feet of mouldings are processed each week, Graham said. In addition to red and white oak, Cox Interior processes and grades poplar, cherry, ash, beech, maple as well as some exotics. The company uses a Weinig Group rough mill optimization system, incorporating Dimter saws and a LuxScan system, which has the capability for scanning all four sides of the board. In addition to stair components and architectural mouldings, an integral operation at Cox is its door production. 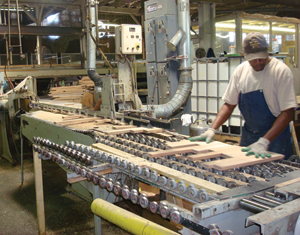 The company manufactures approximately 200 to 250 interior doors a week, primarily in poplar. Exterior doors are elaborate and typically require more craftsmanship, Graham said. The company produces approximately 20 to 25 of these a week, primarily in mahogany. “Most everything here is a specialty order, though we do offer some stock styles,” he added. Among the machines used in the company’s processes are a newly acquired MZ CNC bandsaw, Northwood routers, ProTech arch machine, Voorwood shaper/sander and Newman planers. As an added service for customers, Cox Interior will also do dimension work in oaks and poplar, Graham added. A provider of oak and maple cabinetry, Kitchen Kompact currently produces 5,000 cabinets per day, with a capacity for 10,000, inside the 750,000-square-foot plant, said John Gahm, production manager. The Jeffersonville, IN-based company, which can trace its roots back to 1937, has approximately 230 employees. What makes the family-owned Kitchen Kompact unusual is that it builds product to inventory, versus the more common practice today of just-in-time manufacturing. According to Gahm, this enables the company to meet fast lead times to stock distributors nationwide. Kitchen Kompact offers five styles of cabinetry: Lynwood (maple raised panel doors), Bretwood (maple flat panel doors in darker finish), Mellowood (maple flat panel doors) Richwood Lite (oak raised panel) and Chadwood (oak flat panel). Kitchen Kompact purchases components cut-to-size, so the focus is on assembly. Frames are 3/4-inchsolid oak or maple, and the end panels are made from 1/2-inch thick veneer on a plywood core. Plywood drawers are standard. The components are assembled using a combination of mortise and tenon joinery, adhesives, and nailing. All wood parts are finished in-house. Because the company sells nationwide, Gahm said, all its products are compliant with formaldehyde regulations set under the California Air Resources Board (CARB). “Since we build to inventory, we had to make sure everything is in compliance with CARB.” The company’s cabinets are also certified for sustainability under the Kitchen Cabinet Manufacturers Assn.’s Environmental Stewardship Program (ESP) and comply with the ANSI/KCMA A161.1 quality certification program. Everyone in the plant is responsible for quality control, Gahm added. Employees are crosstrained on the sanding, finishing and assembly equipment, a practice which eliminates the possibility of downtime or bottlenecks in any given area. Among the equipment used in the plant are Timesavers sanders, Graco and DeVilbiss sprayers, and Carlson Systems assembly machines. Based in Lebanon, KY, Lebanon Oak Flooring Co. LLC manufactures a variety of wood products including hardwood flooring, stair treads, risers, handrails, mouldings and edged glued panels made from red and white oak, maple, cherry, hickory, ash and walnut. Family-owned since 1935, Lebanon Oak Flooring employs approximately 70 people and sells its products nationwide and in Canada. 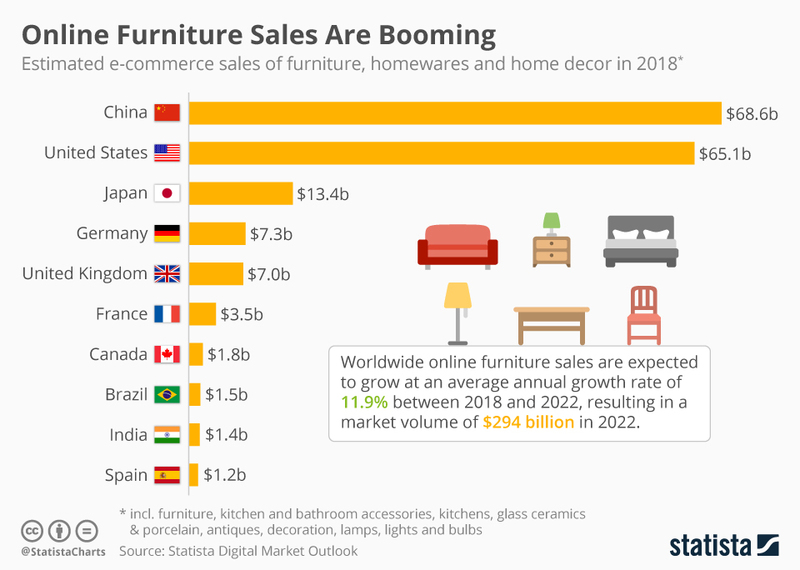 According to Rick Goodin, plant manager, approximately 80 percent of the current product line is flooring products, with the remaining 20 percent dimension lumber and other components. Vertically integrated, Lebanon Oak Flooring buys green lumber and seasons and dries it on the premises; the company utilizes three package kilns and a track kiln for drying the Appalachian hardwoods. In the rough mill optimization process, lumber is scanned for defects and color matching and sorted into five types: select and better, standard and better, #1 and #2 common and quarter-sawn. A variety of machines are used in the manufacture process, including a Mereen-Johnson gang ripsaw, Cameron Automation Opti-Match scanning system which automates the color-matching and sorting process, Weinig moulders, and Newman Whitney planers. What distinguishes Lebanon Oak Flooring from its competitors, Goodin said, is its ability to offer random lengths of strip and plank flooring in 5/16 inch thickness. The company also offers flooring in standard width sizes, as well as 1/2- and 3/4-inch unfinished and prefinished tongue and groove flooring in random lengths, all in red and white oak. According to Goodin, the company can run approximately 84,000 linear feet per day/14,000 square feet and 70,000 lineal feet per day/12,000 square feet of tongue and groove flooring. In addition to its stock offerings, Lebanon Oak Flooring also offers 5/16-inch feature strips, available in walnut, cherry and maple. Family-owned and operated for more than 50 years, LaGrange, KY-based Northland Corp. is a full service concentration yard that offers a wide variety of hardwood species, ranging from ash to steamed walnut. With 10 kilns and a steamer on the premises, the company specializes in working with mixed loads and color sensitive wood, including walnut, cherry, hard maple and hickory. According to CEO Orn Gudmundson Sr., Northland is a Forest Stewardship Council Chain-of-Custody (FSC COC) certified supplier. 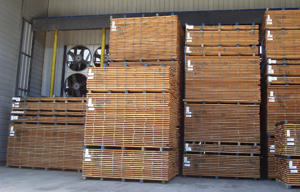 In addition to its Kentucky facility, Northland has a lumberyard in Mirabel, QUE, which handles Canadian white hard maple and birch, and also in Collinwood, TN, which offers poplar and white oak. Lumber is air dried in fan sheds prior to the kiln. A coating of paraffin wax is applied to the freshly cut edges, thereby preventing the rapid loss of moisture in the green wood that can lead to checking and splits, said company spokeswoman Jody Ransdell. As a further quality control check, stress tests are run after kiln drying to ensure proper moisture content throughout. Northland’s capabilities include S2S and straight line ripping. Thicknesses offered range from 4/4 to 16/4 in most species, with specialty widths available. Northland employs 56 people, Gudmundson said. One of the largest North American manufacturers of architectural wood doors, VT Industries uses automated equipment to produce a full range of styles, including flush, five-ply wood veneer, decorative laminate and stile-and-rail doors, at its Holstein, IA, headquarters and New Albany, IN, facilities. VT Industries is also renown for its laminate countertops, which it produces at seven facilities throughout the United States and Canada. Overall, the company has more than 1,000 employees and more than 1 million square feet of manufacturing facilities. The New Albany plant focuses on the high-end architectural wood doors for interior, commercial applications. In addition to a standard line of products, VT can custom design produce to specification. At the New Albany facility, a combination of Savi, Josting and Fischer & Ruckle equipment are used to produce veneer faces quickly and easily, said Dave West of VT. The company also produces laminate architectural doors at this plant. Both styles use a composite core, which is cut to size on a Giben panel saw. VT is a sustainable manufacturer and has available NAUF core as well as FSC-certified materials. Its products also can help companies earn LEED credits. VT Industries uses a variety of presses in the manufacture process at New Albany, including those by Joos, Italpresse and Sennerskov as well as an Orma bladder press. 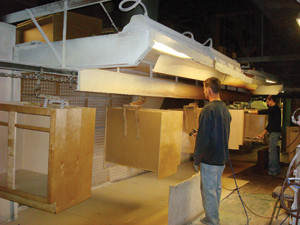 For the wood door components, VT utilizes RF machines by Rosenquist and Radio Frequency Services. Throughout the production process, VT uses a combination of handcraftsmanship along with CNC machining. In one area of the approximately 175,000-square-foot New Albany facility, bar code is scanned prior to the routing operations at the Heian CNC machining center, which has the capability for pocket holes, lock and face holes and pre-drilling for the hinges. In a separate area, a Preco CNC pulse laser is used for custom etching of designs as well as precise cutting of veneers for inlay. The plant also features an 18,000-square-foot finishing department for application of water- or solvent-based stains, primer and paint. VT uses a three-step process for crossgrain finishing, incorporating widebelt, orbital and fladder sanding performed on Heesemann and Timesavers machines.